The aim of the workshop was to spell out the need for the OIC member countries to develop an appropriate infrastructure for a competitive and sustainable supply chain, which is the key for poverty reduction and rural growth. The workshop was organized within the framework of OIC Ten-Year Programme of Action (2016-2025) which among others emphasizes the need to empower the most vulnerable segments and the rural populations in the Member States. During the technical sessions, Mr. Mazhar Hussain, Senior Researcher at SESRIC, made e presentation on State of Agricultural and Rural Development in OIC Member Countries. Among others, he highlighted the demographic trends, population, and access to electricity, sanitation and water, road network density and poverty and poverty gap of the rural areas of the OIC countries. 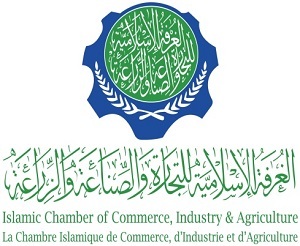 He further underlined the economic active agriculture population, agricultural employment, share of agriculture in GDP, agricultural resources and their use, agricultural productivity, agro-production index and agricultural trade balance of these OIC countries and compared it with other developed and developing countries.